THUNDER BAY – SPORTS – The Thunder Bay International Baseball Association (TBIBA) have announce that a delegation representing the city will receive the World Baseball Softball Confederation flag at the conclusion of the 2015 WBSC U-18 Baseball World Cup in Osaka, Japan. The delegation is comprised of Warren Philp, Executive Director of the TBIBA and Canadian Honorary Consul Ushio Tsuda from Osaka. The visit by TBIBA’s Warren Philp is part of the organization`s efforts to improve on the template put in place for the very successful IBAF World Junior Baseball Championship in 2010 in Thunder Bay. Since 2010, the event has been held in 2012 in Seoul, Korea and in 2013 in Chinese Taipei. 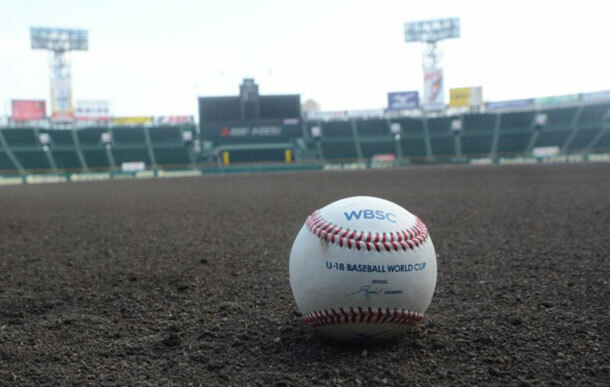 “The World Baseball Softball Confederation, Baseball Federation of Japan and the Japanese High School Baseball Federation have been tremendous hosts for the TBIBA here in Osaka,“ noted Warren Philp, Executive Director of the TBIBA. “Our time here has been a tremendous experience, learning from experts in national and international tournament hosting. We would like to thank all parties for their part in making the experience so valuable. The TBIBA would like to also like to acknowledge Toronto-based Koji Yamane, who has been living in the GTA for 13 years but is originally for Kobe where he played baseball at Shinko Gakuen High School. Yamane has acted as Philp`s translator during his stay in Osaka and has been an invaluable resource in many regards.